Since my earlier post I got a 2 chances to see the Black Knight performance. One was on 7 August. Unfortunately, the day was wet with very low clouds. 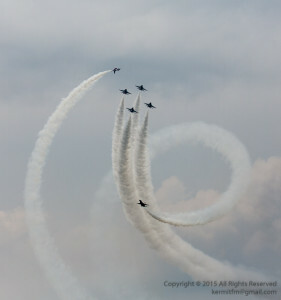 The performance was limited to formation fly pasts. The other was on the next day. 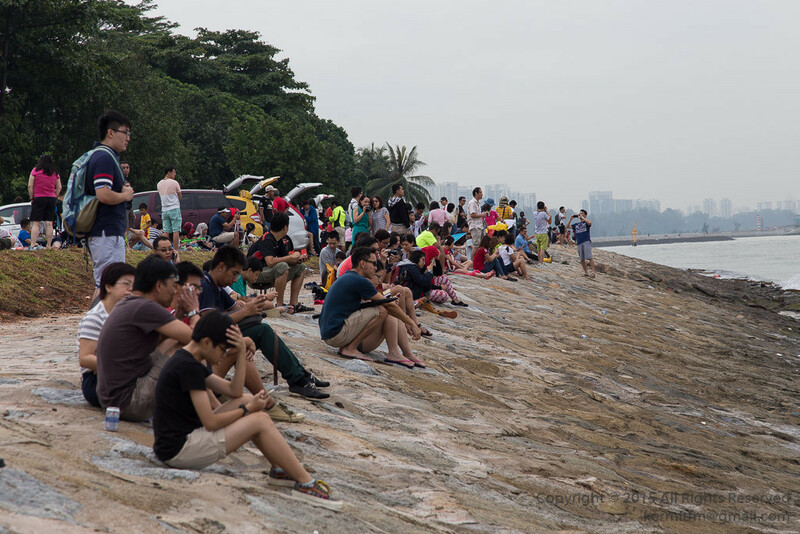 The weather was good and I was at the coastal area beside Marina Barrage. You can visit my Black Knights’ Gallery to see all the images. The spectators waiting for the performance to start. 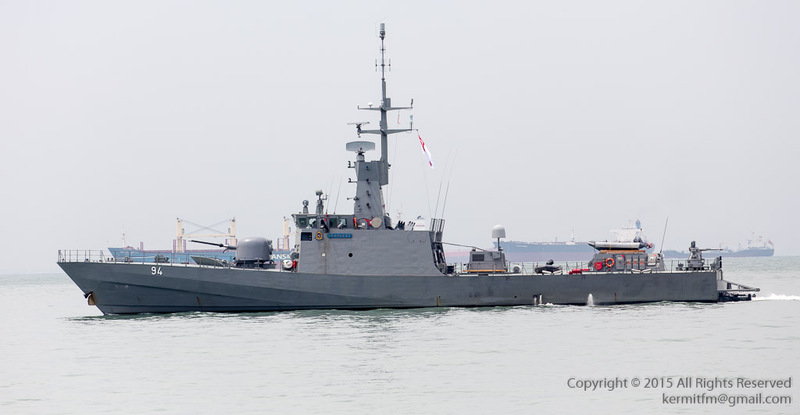 Also present at the site was the Republic of Singapore Navy Patrol Vessel, the RSS Fearless. The Black Knights wowing the crowds doing the Mirror Pass. See all the photos in the Black Knights’ gallery. 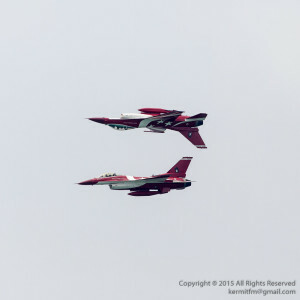 The Black Knights are the acrobatic team of the Republic of Singapore Airforce (RSAF). 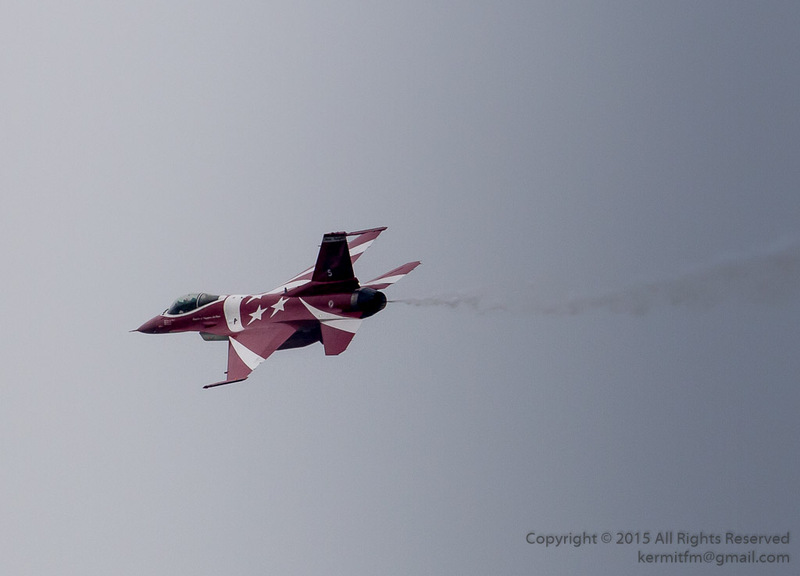 The team comprise 6 F-15C Fighting Falcons, painted with the red and white colours of the Singapore flag. 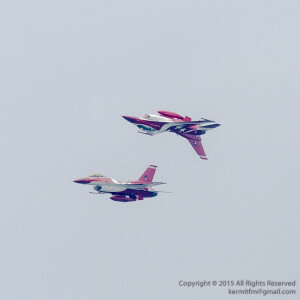 The photos below were taken at the SG50 preview performance on 3 Aug 2015. The weather was overcast with a steady drizzle. 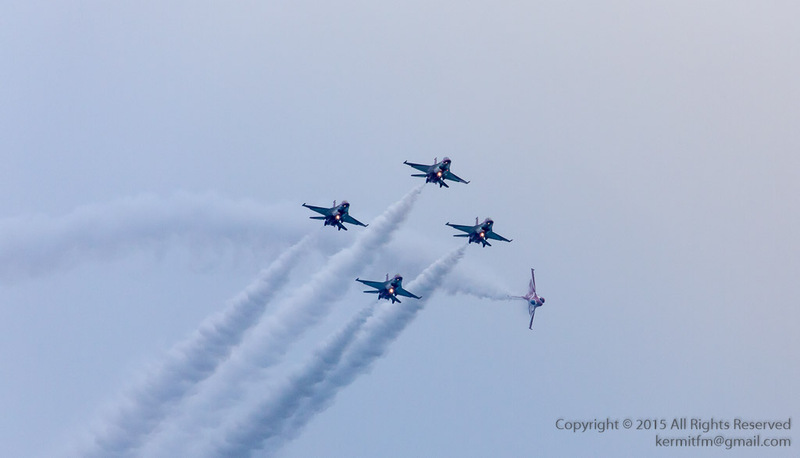 The first performance of the F-16C Black Knights was in 2008, although the F-16A were part of the acrobatic team since 2000 flying formation with the A-4SUs (Super Skyhawk). 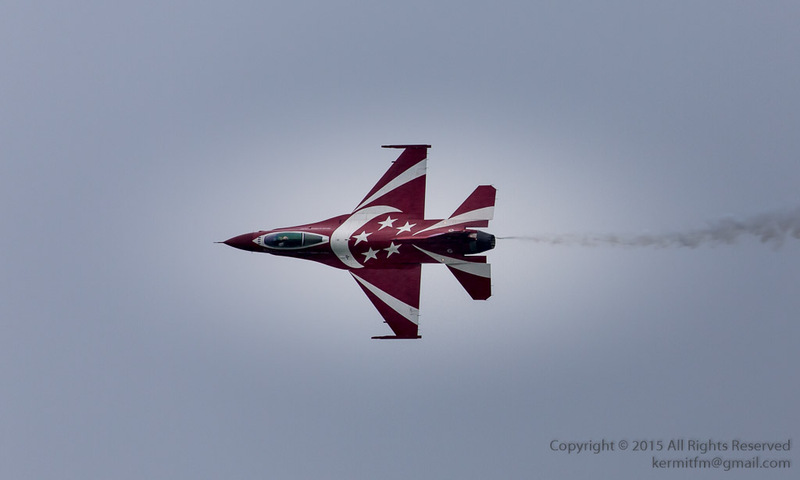 The Black Knights are painted in the colour of the Singapore flag – red and white and features the national symbols of the crescent moon 5 stars. 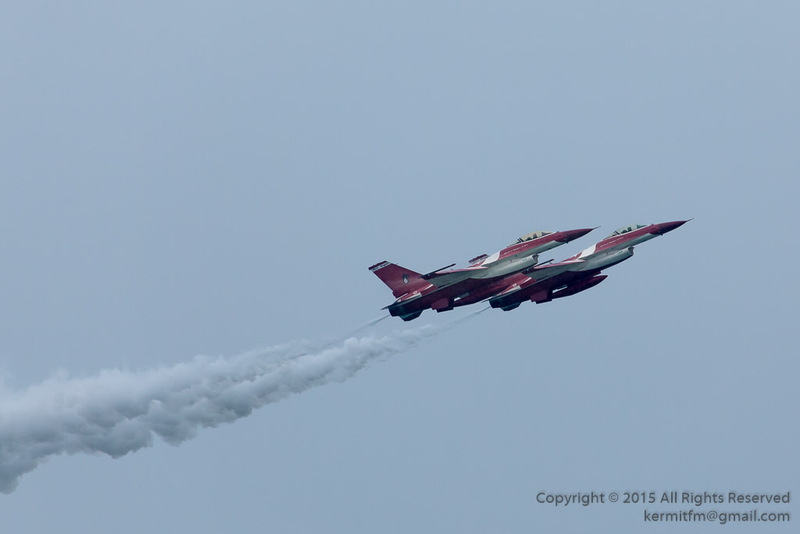 The F-16Cs are not solely dedicated to acrobatic flying but are part of the active squadron of the RSAF. 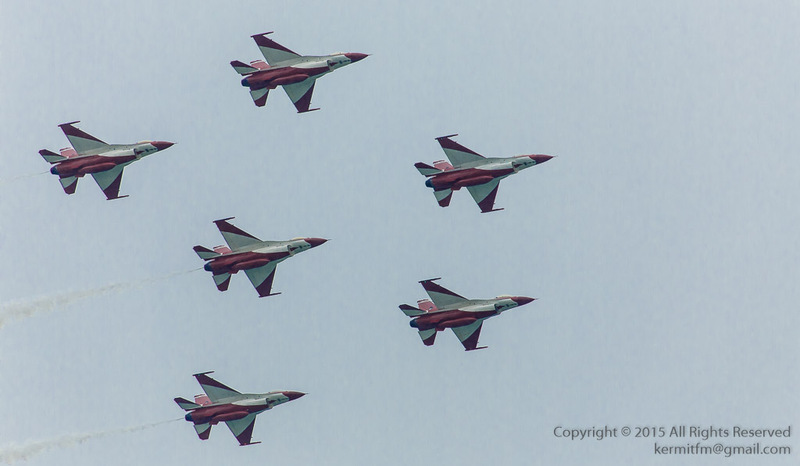 One of the manoeuvres is the Low-Slow Muscle Climb where the planes come in at it’s slowest speed and then pull up with full afterburners. The picture below shows them just before they punch the afterburners. The Criss Cross manoeuvre showing 3 of the 4 Knights splitting after they converge at a central meeting point. Here the Knights are performing the Dedication Pass. 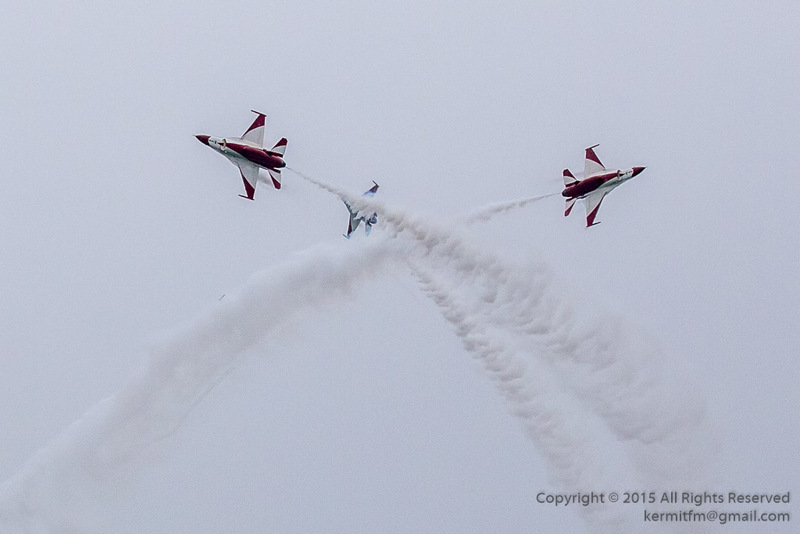 Four planes fly in a diamond formation while 2 planes spiral around the smoke trails.